I’ve been wanting to make some leather belts for some time now. I bought some buckles and belt blanks a while ago and had an idea of what I wanted to do with them, but never got around to it…until now. 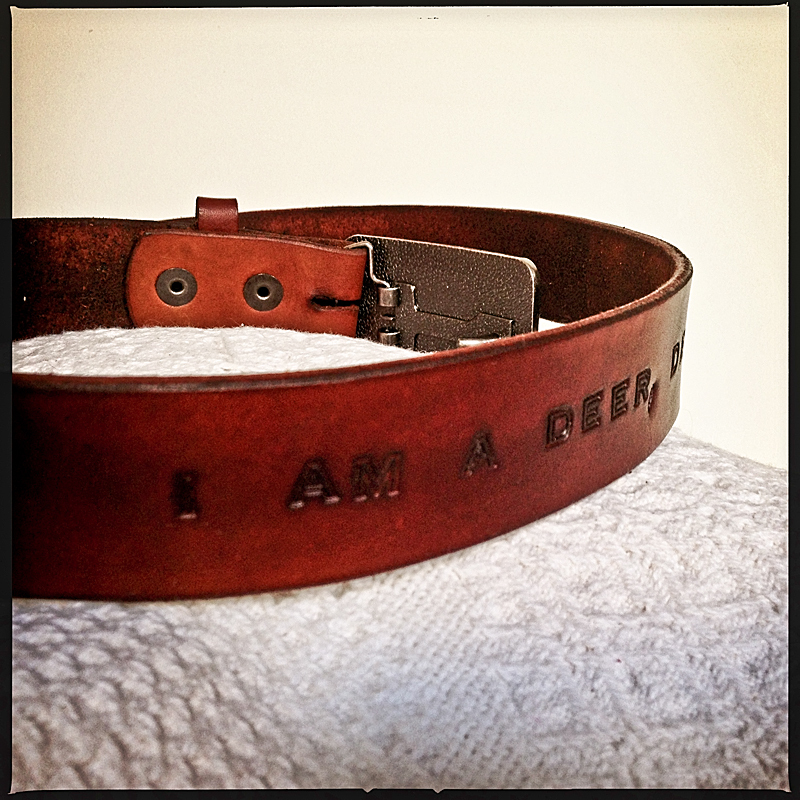 When I bought a deer-head-shaped leather embossing stamp last year, I just knew that I would use it, in combination with the phrase “I am a deer, deer”, in the making of some belts for my wife and I.
I like the lighthearted combination of fashion and whimsy. I try not to take things too seriously. 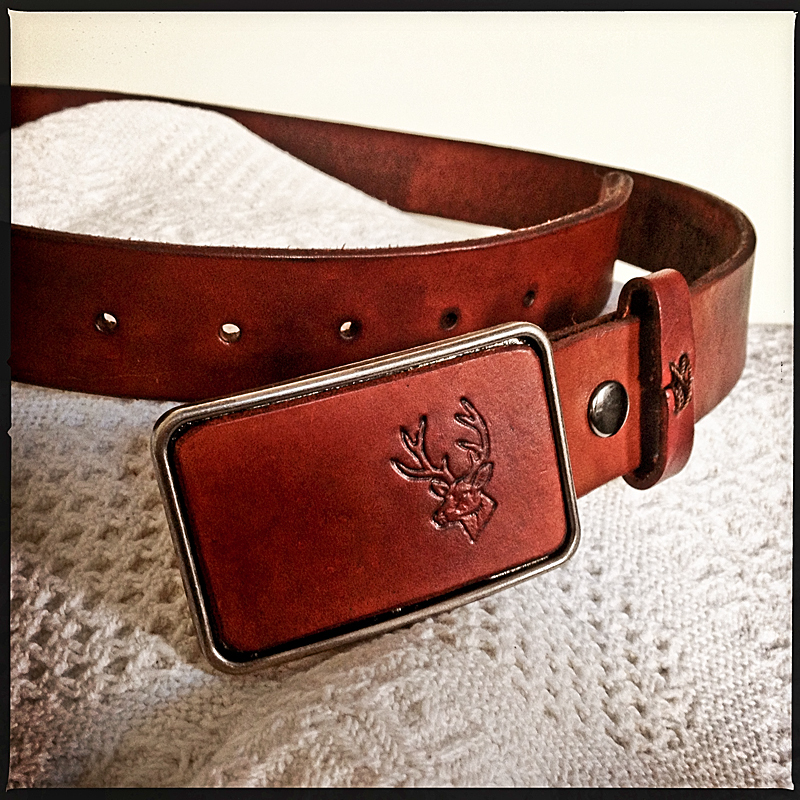 These manly leather belts are given a slight twist by the subtle irreverence of the kitschy deer head on the buckle and Dadaist text adorning the back of the waist.